Since its launch in 1996, homegrown jewelry salon Hoseki has been creating wearable art—pieces that showcase world-class craftsmanship and design. Chiefly a design house headed by internationally recognized jewelry designer, founder Fai Co, alongside corporate affairs director Zabeth Co, chief operating officer Harold Co, chief executive officer Grace Co, and partner and chief creative officer Knoi Esmane, Hoseki has become a powerhouse in the Philippine jewelry industry. In celebration of its 22nd anniversary, the premier jewelry salon staged an exhibit featuring a variety of its stunning pieces. 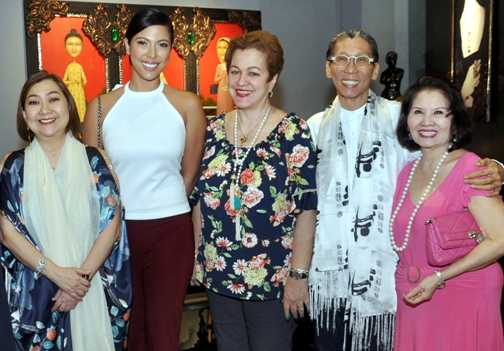 The event, held in its showroom at The Podium in Mandaluyong City, was attended by Manila’s most avid jewelry enthusiasts. 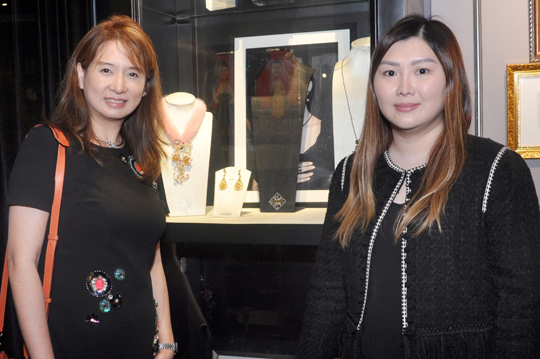 Ayna Ong and Hoseki chief executive officer Grace Co beside the Jade Mariposa Collection. The brand’s craftsmen are mostly foreign trained and exposed to the latest state-of-the-art technology in jewelry manufacturing thus creating masterpieces that are at par with the international standards. Hoseki is popular for its diamond jewelry and other precious stones.